THE ODYSSEY is a beautifully constructed melancholy tale about a man who sacrifices his family for fame, and then tries to redeem himself late in life. That man is the French naval officer turned submariner and film-maker Jacques Cousteau - a figure handed down to us almost as parody as STEVE ZISSOU. One forgets - and it's delicious to be reminded - that he was once a truly respected and international star. That his oceanographic films earned the Palme D'or and huge global TV audiences. That he was something of a rock star. And yet for all this fame, he was never financially secure. His wife sold her jewels and fur to finance the refurbishment of his first ship and was steadfast on board despite his philandering. His banks could barely keep up with the ever more outlandish plans for films. And he would foolishly mis-sell movies to TV studios at a fraction of their cost. And yet, somehow he prevailed, bringing images of exotic animals and Antartica to his fans. The emotional arc of this film creates a two act drama. In the first act we have the relentlessly driven Cousteau neglecting one of his sons in favour of the one who is also a diver. And you have Cousteau having affairs and abandoning his wife. In a more subversive narrative, we also have Cousteau financing his film with petrodollars, effectively researching the best place to dig for oil in the Arabian Sea. 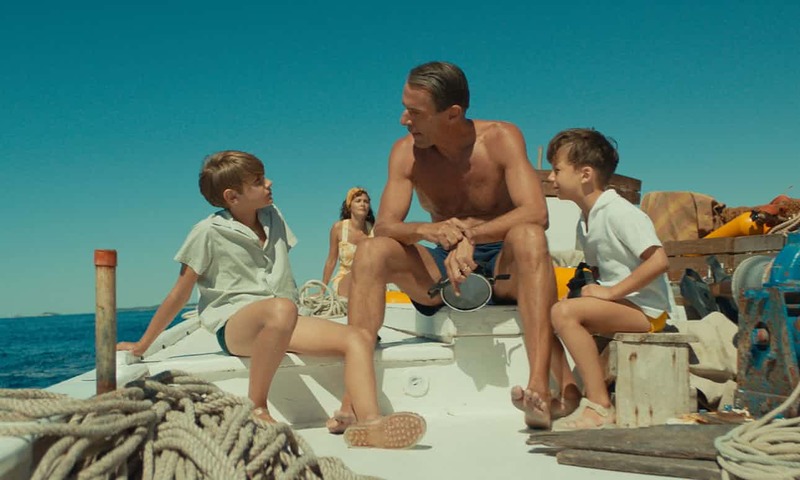 In the second act of the film, inspired by his beloved ecologist son, Cousteau becomes an evangelist for the environmental cause and founds the Cousteau Society. It brings precious little reconciliation with the neglected son and wife, and he becomes even more famous, even though that fame is now tinged with deep personal loss. Jerome Salle's film is not afraid to show both sides of Cousteau - his charisma and energy as well as his callous disregard for people and financial facts. He manages to capture the wonder of underwater ocean-cinematography and the majesty of Antartica in a way that - as Cousteau did - inspires us with the romance of ocean exploration. But he always manages to undercut this with the darkness of family life chez Cousteau. In particular, I liked the lead performance from Lambert Wilson - capturing all of Cousteau's ambiguity - and some of the touching set pieces - particularly that between Vincent Heneine's Bebert and Audrey Tautou's Simone. THE ODYSSEY has a running time of 122 minutes. It opened last year in France, Belgium, Germany, Greece, Hungary, Russia and Switzerland. It opened earlier this year in Netherlands, Romania, Canada, Bulgaria, Finland, Sweden, Denmark, Portugal and Norway. It opens today in the UK.